Parental alienation is referred to as behaviors done by parents that are damaging and catastrophic to children’s state of mental and emotional well-being. Usually, parental alienation involves manipulation or bully of the child or children to choose between their parents. Parental alienation can result in aggressiveness and hostility. In the process, these parents may or may not know that they are depriving their children love and affection for the other parent who may affect their extended family members. Usually occurring in a family that’s intact, parental alienation is likely to be experienced by divorced or separated parents. One of the tactics a parent may do to alienate the other parent to cause pain is banning the child’s access to any form of accounts that has the potential to challenge the views being brought about by the parent doing the alienating deed. The parent might keep photographs of happy memories or refuse to allow the other parent to talk to their children. Badmouthing the other person to gain the child’s trust and loyalty. Recreating events in the past in a way that the other parent will turn out to a horrible person. Preventing any forms of communication or physical contact such as spending quality time with the child. Making inaccurate abuse claims to enforce limitations of time spent by the other with their child. Intruding unreasonably during the other parent’s time. 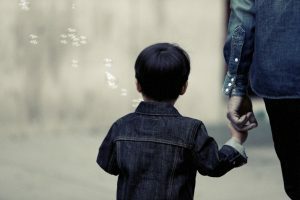 Escalation of parental alienation can happen the moment the other parent decides to remarry which may compel complete erasure of the other parent in the child’s life. 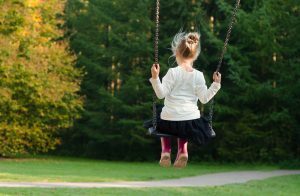 As a consequence of their parents’ actions, children develop parental alienation syndrome which is defined as the psychological status that is prevalent in kids who are affected by the increased rate of separation or divorce. This can be observed through a child’s intense opposition to communication due to bottled-up hatred and emotions toward the other parent. Unfortunately, the fallout of PAS on children can be carried on until their adulthood with long-term damaging effects. Alienated children who have been severely manipulated by the other parent may present rejection towards the other with extreme, unreasonable hostility, defiance, and disengagement. Aside from resisting forms of contact with the other parent, the child may also become destructive and aggressive towards other people. The absence of any form of genuine emotional entanglement like love, appreciation, longing, and affection towards the other parent is another characteristic that can progress with severe parental alienation. Children will no longer find time to greet their other parent during special occasions like birthdays and the like. If this behavior is not addressed correctly, the child will grow into an adult that will not display regret or shame for mistreating the other parent. Since children have formed this irrational hate towards the other parent, their understanding and assertions would usually become inauthentic, empty, and trivial. Most of the time, what is coming out of their mouths are just echoed statements of the parent who’s involved in the alienating. Their critical thinking skills are altered into shallow comments. 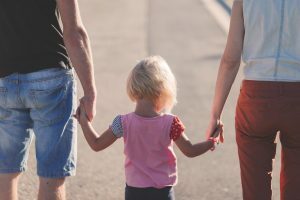 If parental alienation persists, the results can range from mild to moderate, even reaching a certain degree of severity in cases wherein the child no longer wants to talk or see the other parent. In their minds, they have already rewritten their views about the other parent and have previously obscured any kind of positive aspect of their relationship, only focusing on the negative ones. This form of rejection can even extend to their relatives and friends of the other parent.